With Shabbos Parshas Ki Seitzei on the horizon, dozens of Shluchim from Illinois, Indiana, Kentucky, Michigan, Ohio, and Wisconsin gathered at Lubavitch House in Milwaukee, WI for the Midwest Kinnus HaShluchim Ha’ezori 5770. Upon arrival, one was met with a sense of warmth — a warm drink and refreshments, a hot Erev Shabbos mikvah, incredibly hospitable accommodations, a whole-hearted embrace from fellow Shluchim, and a cheerful smile from the host Shliach, Rabbi Yisroel Shmotkin. 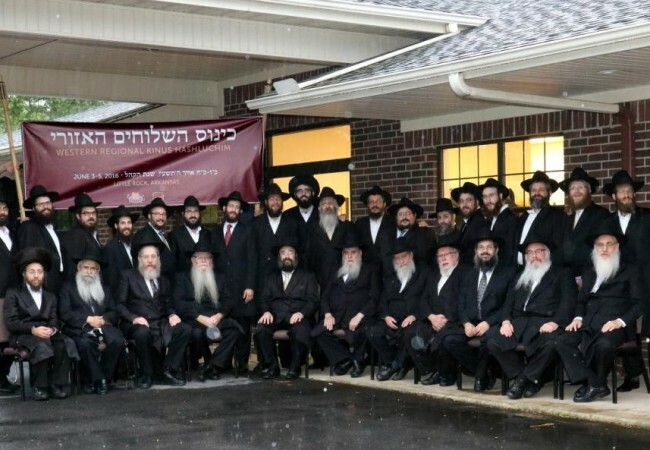 After settling in, Erev Shabbos Minchah was followed by the study of the Rebbe’s Maamar Ani L’Dodi V’dodi Li (5735) by Rabbi Yisroel Shmotkin and Kabbolos Shabbos was led by Rabbi Betzalel Wilschanski (Kenosha, WI). The Shluchim then sat down to a festive Seudas Shabbos, which started with everyone introducing themselves and led into a farbrengen. Stories, niggunim, and “L’chaim v’livracha” could be heard emanating from the dining room into the early dawn hours. Rabbi Yona Matusof (Madison, WI) shared many personal experiences and miraculous episodes from both before and after Gimmel Tammuz. By 8:30 Shabbos morning, the Shluchim returned to the same dining room. Only now, they were preparing for Shacharis with another Maamar from the Rebbe about the tremendous significance of Chai Elul (Ani L’Dodi V’dodi Li 5732). sit-down kiddush. Just a short while later, the Shluchim sat down for the Shabbos meal and farbrengen, lasting until Minchah. The camaraderie of the 20 Shluchim, as they sat and shared their hearts with their fellow, was permeated with the Rebbe’s presence. Following Minchah and Pirkei Avos, Rabbi Yona Matusof (Madison, WI) reviewed a Maamar from the Rebbe (Ki Seitzei Lamilchamah 57xx) about defeating the Evil Inclination through davening. Then, everyone sat down for niggunim until the end of Shabbos, finishing off with a showing of the latest edition of Living Torah. The evening festivities, however, were nowhere near completion. Within an hour, a lavish Melaveh Malkah was set out for the guest Shluchim and any new arrivals that could not make it for Shabbos. By 10:00 PM, the dining room was filled once again with more than 25 people telling stories of the Rebbe, his miraculous care and guardianship over the Jewish nation, and personal encounters from far and wide. As mentioned motzo’ei Shabbos, the next morning marked 81 years since the Previous Rebbe visited the United States. A brimming delegation of Shluchim were now ready for a full day of informative panels, discussions, and advice from fellow and senior Shluchim. After Chassidus, Shacharis, and breakfast, everyone packed their bags and made their way to The Peltz Center for Jewish Life – Chabad of Mequon. The tables were set, and everyone sat down for a heartfelt discussion about the education of children on Shlichus, chaired by Rabbi Shmaya Shmotkin (Milwaukee, WI). Many questions, answers, ideas, and morsels of advice, such as the need to be a dugma chaya for one’s children, to take time out to tell them chassidishe maasos, and to always keep the Rebbe in their perspective through taking them to the Ohel, were proffered. Rabbi Berel Shemtov (Oak Park, MI) spoke passionately about the importance of a steadfast commitment in this area, and all present came away with a renewed sense of devotion to this all-important topic. 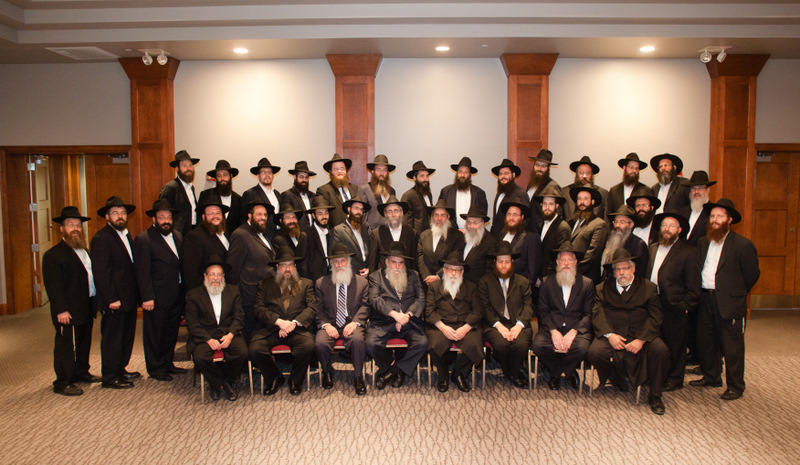 The group of Shluchim, now numbering over 50, then posed for a picture. After Minchah and lunch, a tour of the spacious and beautiful facilities was conducted by Rabbi Menachem Rapoport (Mequon, WI), and a full sicha of 20 Menachem Av 5731 from the Rebbe, produced by JEM, was reverely watched by the Shluchim. Rabbi Moshe Kotlarsky (Merkos L’inyonei Chinuch) joined and greeted the Kinnus. He related the background of the Kinnus Ha’ezori and was me’orer to spread the Rebbe’s Torah, told personal stories of the Rebbe, and called for the creation of a Vaad Kinnus Ha’ezori, which was thereafter established with representatives from each state of that region. Rabbi Mendel Shmotkin (Milwaukee, WI) then chaired a session about making mekusharim into true chassidim and how to present the Rebbe to the community. With the learning, davening, and farbrengens of Shabbos, the informative dedication of the panels and the overall achdus of the Kinnus, all involved were truly inspired.